Edwin The Duck - app enabled speaker & night light. So you feel like you haven't had some shut-eye in about a century and you've gotten to the point where all the walking, rocking, jiggling, pacing and patting is turning you into a zombie. We see you there doing the hard yards - many of you solo, and many of you trying to let your partner get some rest for work tomorrow. Your sleep is vital so we've made a list of sleep-aiding baby products in the hope that one or two of them might be your sleep saviour. When your baby won't sleep: is it reflux? 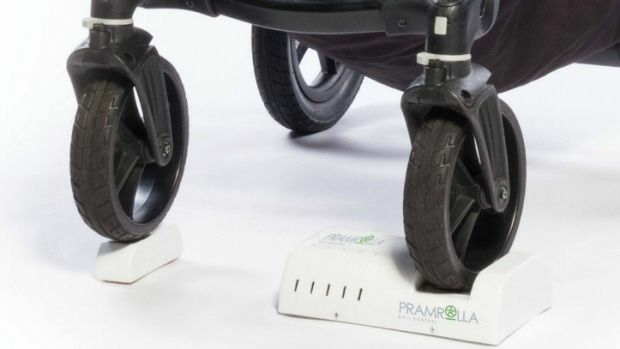 • Pramrolla simulates a walk in the park so you can pop baby in the pram and get some things done hands-free. It's $149.95 from Pramrolla. • Stuffy noses are a big source of sleep problems, so a vaporiser is a nursery must-have. Check out the cute range at The Sleep Store. • The Lulla Doll 'plays a real-life recording of the breathing and heartbeat of a mother at rest.' They're $99 from Sleep Tight Babies. • The Sound Oasis BST-100 Bluetooth Sleep Sound Therapy System has 10 built-in sounds including white noise. It's $89 from Sleep Solutions. • Or why not invest in a portable white noise machine so it's with you wherever you are. 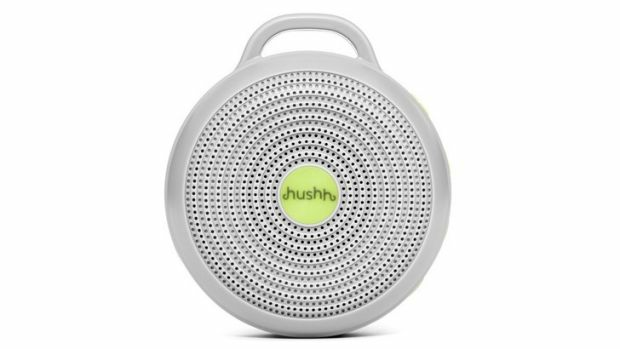 This is the Hushh Continuous White Noise Machine and it's $79.95 from The Sleep Store. • The Cloud B Twilight Turtle Sleeping Companion projects soothing and mesmerising constellations onto the nursery wall. It's $41.99 from Baby Village. • Edwin The Duck (top image) is an app-enabled toy, speaker and nightlight. A nightlight is a nursery essential so if you don't have one, here's one that does a tad more than an ordinary one. It's $159.95 from Hard To Find. • The Baby Shusher claims to be a 'sleep miracle device' by using the shushing sounds you make, to get baby to sleep. It's $39.95 at Superpharmacy. • We hear the Munchkin Lulla-Vibe, Vibrating Mattress Pad is very effective in soothing baby at bedtime. It's $59.95 at Toy Junction. • A digital baby monitor with parent talkback will allow you to soothe baby with only a few words and coos. The Oricom SC710 is $229.95 from Toys R Us. • While your baby might awaken in the early hours, chances are if they have a mobile for entertainment, it might buy you a few extra minutes of shut-eye. 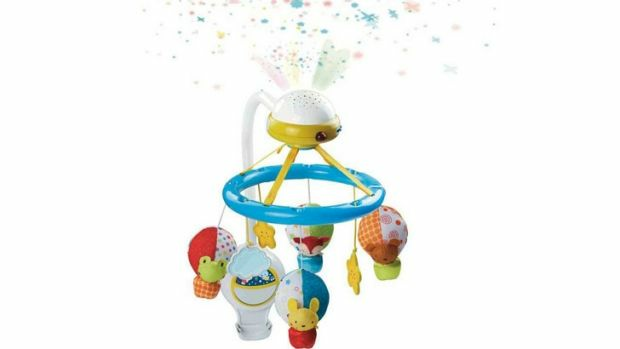 Check out the VTech Baby Little Friendlies Sleeping Stars Mobile for $53.99.